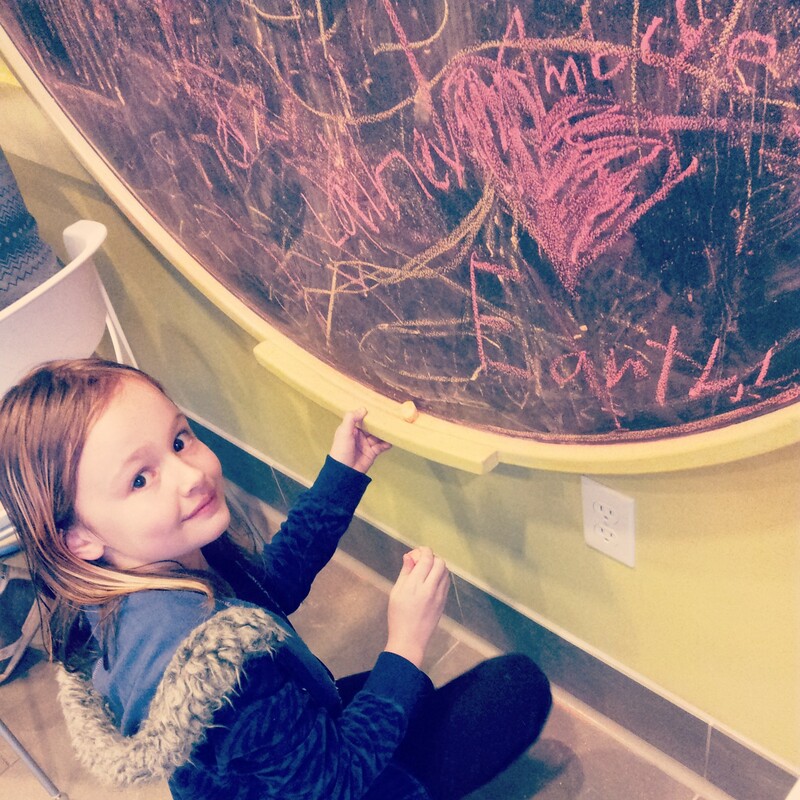 Over the past few months – my 8 year old daughter has been finding any chance she can to write things like “Love Everyone For Who They Are” or “Believe in yourself” or “Love everyone on Earth” or “Take care of each other” – whether it is on a community black board at the local frozen yogurt shop, on sample papers at the art store or at the beach in the sand. For the majority of her life – she has felt like the Odd one out. Different. She has come to the conclusion that there are many other “Others” out there – who feel just as alone sometimes as she does and that maybe leaving random notes for them to find in unusual places, might just remind them of how beautiful they really are. Funny thing is – most of us feel like “Others” on a daily basis. We could all use these little reminders now and again and today I needed to put this photo here and remind myself to love ME for who I am – even when I feel ugly, “Frumpy”, less than perfect, broken, saggy and flawed. 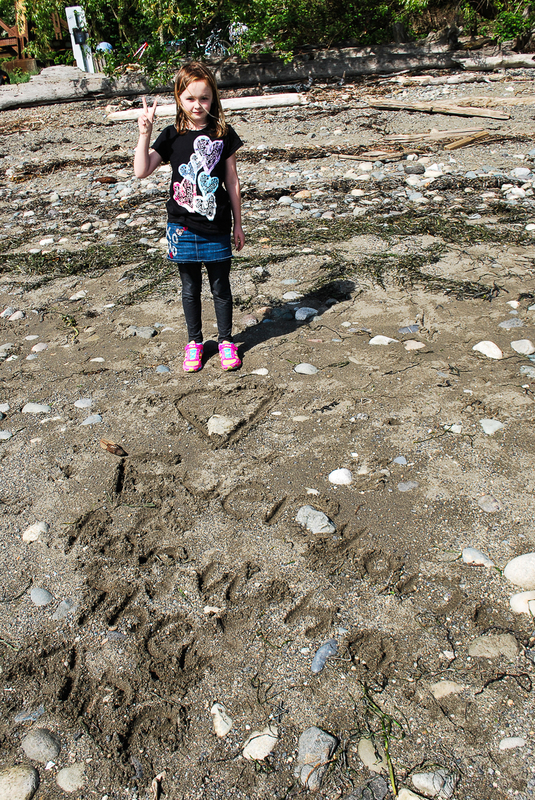 I thought maybe you might need it too…and maybe, just maybe you (and I) might follow her lead and start writing “messages in the sand” for other “Others” to find when they need it the most. Random acts of uplifting thoughts – left for the people who need to find them…sounds like a great way to spend those few minutes you would have spent checking to see what your “Friends” are doing on Facebook when you are out enjoying a walk on the beach, enjoying your favorite frozen yogurt flavor or browsing art supplies in the “Pen” section of the art store.